At Laetitia, we are passionate about producing premium estate wines that showcase the distinctive qualities of the Arroyo Grande Valley. Located in Southern San Luis Obispo County, our coastal property overlooks the Pacific Ocean. Originally known for Méthode ?Champenoise sparkling wines, we continue to produce seven unique Sparkling Wines. Currently, we are just as well known for our handcrafted Pinot Noir, Chardonnay and more. 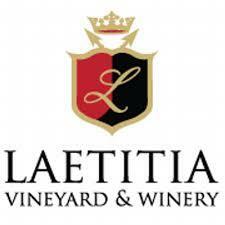 Made from fruit grown in the ideal coastal conditions of the Arroyo Grande Valley AVA, Laetitia Estate wines encapsulate the moments, sites, and people who pour their lives into ensuring the excellence of every sip.